Babies come into this world with lots of expectations. Mom and Dad imagine that children will be cute, fun, and fulfilling and that they will grow up to make us proud. We expect that they will learn what they are supposed to learn when they should learn it: like potty training, sleeping through the night, reading, and the list goes on. When kids are young, they usually adore their parents. But the harsh reality of kids growing up is that they may go through seasons of life when they act as if they dislike, don’t respect, or even hate their parents. I remember feeling that from my kids and I hated it. I took their bad attitudes personally and was convinced that there were days when they thoroughly disliked me. I grew nostalgic about the days when they were little and very adoring. There will be days when your kids dislike you, but that does not mean that they don’t love you deep down. The problem is that there may be days, months, even years, when you do not feel your love is reciprocated. If you can give up the expectation that they will love you back as you love them, this frees you to love them unconditionally. And in the end, that will most likely bring them around to returning your love. 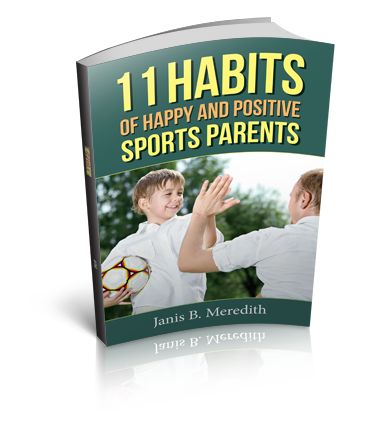 Parents get frustrated when kids get apathetic, whether it’s about grades, sports, or chores. You want your child to learn a good work ethic and that feeds your expectation that they will give 100% in everything they do. When your child does not do their best, when they seem like they could care less about something that you feel is important, what do you do? The instinct is to get upset and lecture them about work ethic and about the consequences of a half-assed job. We are angry because we expect more, we WANT more for our kids. I believe that most children go through seasons and situations when they do not give their best. Rather than lecture, rant and threaten, what if you talked with them, listened to their ideas and thoughts, asked questions about what they are thinking and feeling? This approach will do much more to help them work through the apathy than getting on your parental soapbox. Expectation #3: They will go to 4 years of college, get a job, get married and have 2 kids. Learning to let go of this expectation is especially difficult for many parents. Many an argument between parent and high school graduate has ensued because the graduate does not want to attend college. Every parent wants their child to be a productive member of society who can support themselves, and they assume the traditional route of a college education is the only way to do it. But it’s important for parents to face this fact: the journey looks different for everyone. Forcing your child into a mold just because that’s the way you did it or that’s the way you think it should be done is not the best thing for them. We expected our kids would attend college for four years. Two of them did, but the youngest broke tradition by going for two, then quitting. Then finishing two years later online. That was HER journey and it looked different from her siblings’ path. If your child is going against all your expectations, seek to understand why. Help them get clarity on the consequences of their choices and then let them choose. Their unique journey will be the very thing that shapes them and prepares them for their calling in life. Expectation #4: My kids are going to make me happy. If you are depending on your kids–or anyone else for that matter–to make you happy, you are placing upon them a burden they are not meant to bear. 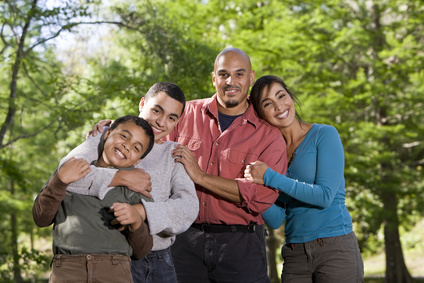 Your kids will bring you great joy and your job as a parent can be tremendously rewarding. However, your happiness has to come from within yourself; it should not be dependent on someone else. Kids will disappoint and hurt you and if your happiness is dependent on how they are doing, you are in for a roller coaster ride of emotions. Find your own compass, your own true north, your own faith, your own purpose. Because even if your kids are doing great, they are still not going to totally fulfill you. As a Clinical Social Worker counseling families and children for 20 years, I have seen countless conflicts arise as a direct consequence of unrealistic expectations. Taking into account child development and changing needs will help to reduce the stress for children, as well as their parents. In short, if expectations are too much — reduce them. Where change in life situations is limited — increase support. Compromises must be the key word in reaching resolutions. Struggling with your own expectations? I’m a family coach and I’d like to help. Schedule a free consultation here.